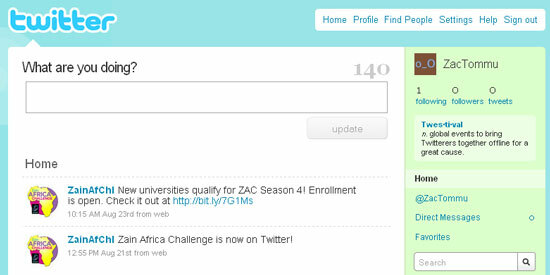 That's the way to follow Zain Africa Challenge news and tweets. If you already have a twitter account, following is simple! Click: www.twitter.com/ZainAfChl. It will take you to our page. Once you're logged in, you should see a page that looks like this. Note the gray box under the ZAC logo. You're following us! For new users, it's just as easy. Fill in all the information (including the jumbled words). When you're done, you should see a page like this... Those ZAC logos mean you're following us! 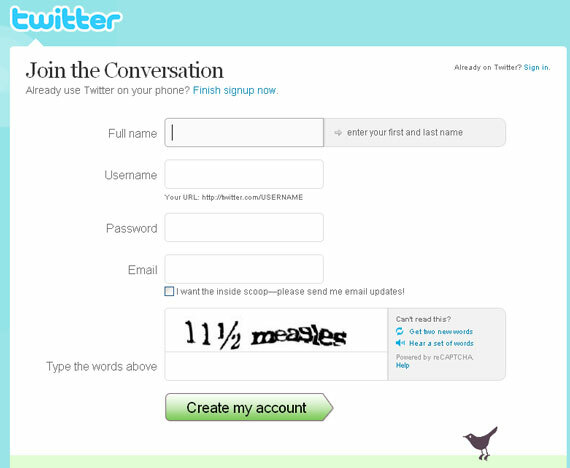 To find out more about using Twitter, CLICK HERE. The forum has answers to any question you might want to ask.